Diplomacy is no longer restricted to a single vocation nor implemented exclusively through interaction amongst official representatives. In exploring the challenges that these transformations produce, this work surveys firstly, the genealogy of diplomacy as a profession, tracing how it changed from a civic duty into a vocation requiring training and the acquisition of specific knowledge and skills. Secondly, using the lens of the sociology of professions, the development of diplomacy as a distinctive profession is examined, including its importance for the consolidation of the power of modern nation-states. 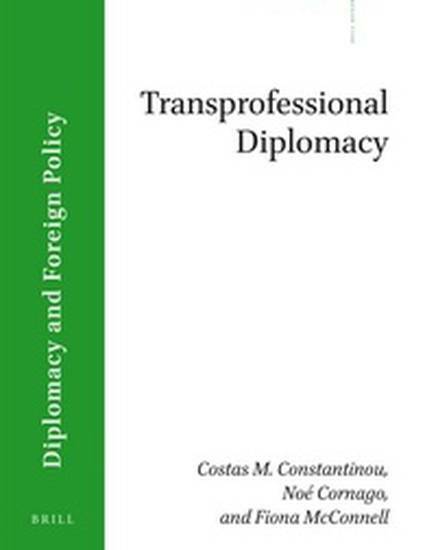 Thirdly, it examines how the landscape of professional diplomacy is being diversified and enriched by a series of non-state actors, with their corresponding professionals, transforming the phenomenology of contemporary diplomacy. Rather than seeing this pluralization of diplomatic actors in negative terms as the deprofessionalization of diplomacy, we frame these trends as transprofessionalization, that is, as a productive development that reflects the expanded diplomatic space and the intensified pace of global interconnections and networks, and the new possibilities they unleash for practising diplomacy in different milieus.